Joanne will be your Confidante, enabling you to speak freely in complete confidence and serenity. An integrated approach tailored to your specific needs will be utilised. Approaches such as Cognitive Behavioural Therapy, Solution Focussed Therapy and Emotionally Focussed Therapy may be incorporated. With experience with a diverse range of presenting challenges, CLICK HERE for more detailed information on a list of formal classifications, some of which may require further referral to a specialist practitioner. Joanne Wilson is a professional Counsellor and Psychotherapist, the weekly feature Relationships Columnist for the Sunshine Coast Daily, and referred to the "in-house" Relationships expert for Sunshine Coast Radio Hot91. 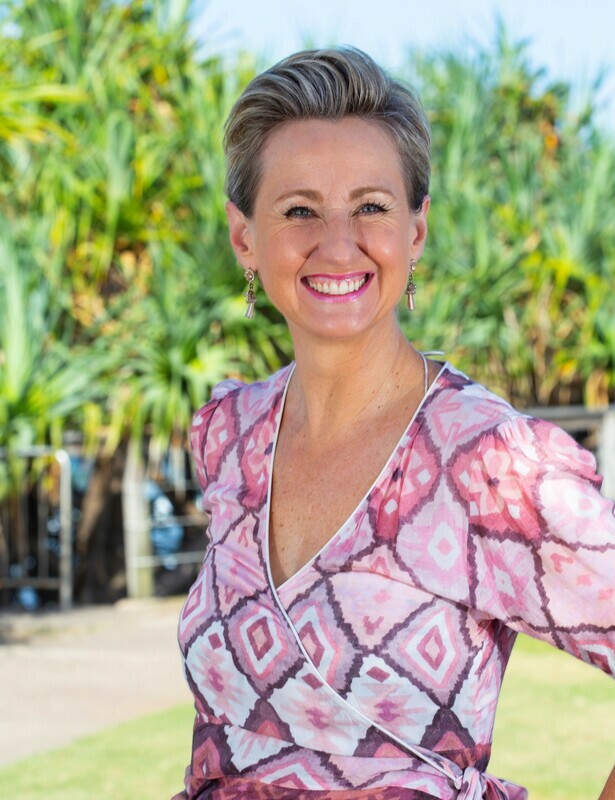 Aside from frequenting as a Guest Speaker on the Sunshine Coast, she contributes regularly to the community as seen in the Melbourne Sun Herald, Sunshine Coast Daily, ABC Radio, Hot91, SeaFM, and MixFM. The Founder of TheConfidante Counselling, she has developed a keen interest in Relationships and Pre Marriage Therapy and a pioneer in the industry with her own App. She subsequently researched and produced her own beautifully presented and inspiring Relationships book. ​With an extensive background in Community Services, Joanne learnt from the homeless at Wayside Chapel in Kings Cross Sydney and troubled individuals at Mercy Ministries and Lily House on the Sunshine Coast. She has subsequently developed a nurturing and patient approach. .
A blue card holder, her qualifications include a Bachelor of Business and numerous Counselling Post Graduate qualifications. Most of all, she is passionate about launching people to success in their personal and work lives, maintaining a focus on their holistic well being through challenges and maintaining a positive mindset through ill health. Struggling to just make it through today? Want to achieve your best through adversity? Reach your dreams and aspirations faster? With a broad life experience, training overseas, with diverse work experience across Australia, she has refined the practice of being a non judgemental and highly regarded practitioner. With caring, compassion and patience she has been acknowledged as a respected Counsellor on the Sunshine Coast with a balanced career along-side family and community contributions. Joanne has over twenty five years volunteering service such as the English Home Tutor Scheme for Migrants, Salvation Army and varied Community fund raising efforts. This has ensured experience with a wide variety and cross section of clientele across Australia. Joanne has a keen interest in personal fitness that blends perfectly with her office base at Fresh Holistic Health, partnering with our health practitioners. She is passionate about launching people to success in their personal and work lives, maintaining a focus on their holistic well being through challenges and a positive mindset through ill health. As a keen promoter of local businesses on the Sunshine Coast, she is also keen to acknowledge the elderly in their wisdom for the benefit of the next generations. An example is her beautiful Relationships coffee table book, researched with the help of the Immanuel Lutheran Church community and various other organizations. "Pearls of Wisdom from the Thriving Thirties." Joanne is fast becoming a frequent guest speaker in the community sector as a specialist in Relationship Counselling and Preparation for Marriage. Visit http://www.theconfidantecounselling.com/blog.html for her latest initiatives and HERE for results on her recent seminars. With dedication, she is an avid learner embracing the latest research in her field to ensure the greatest outcomes for clients. CLAIM MY COUNSELLING SERVICES WITH THESE PRIVATE HEALTH FUNDS. CLICK HERE. TheConfidante Counselling is a fully accredited facilitator of Prepare-Enrich, a leading relationship inventory and skill-building program used nationally and internationally. It is custom tailored to a couple's relationship and provides couple exercises to build their relationship skills either to assist in the essential preparation for Marriage or as a Check Up to help enrich your marriage and strengthen your relationship. ... is to achieve a life full of zest! Possessing zest involves acquiring the motivation to complete challenging situations and tasks. Those who have zest exude excitement and energy whilst approaching tasks wholeheartedly, being adventurous, vivacious and energetic! You are an elite, unique creation so have courage to live zestfully as intended!